Planning a "Zero Waste Event"
Zero waste planning applies to any event, from a block party or community supper, to a large festival. Reducing waste follows the same principles and aligns your event with Vermont's solid waste management law, Act 148. The key to a zero waste event is careful planning so all materials are reusable, recyclable, or compostable. Don't despair if you still have trash: the goal is to work toward zero waste. Every step toward that goal reduces your waste, captures valuable resources, and aligns your event with Vermont's law. 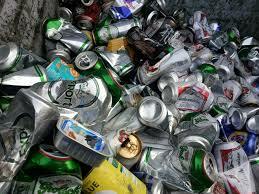 Vermont's Universal Recycling Law (Act 148) bans recyclables, food scraps and leaf and yard waste from the landfill. The ban on recyclables has been in place since 2015. And by 2020, food scraps are banned from the landfill for all Vermonters, including residents, businesses, offices and public events. 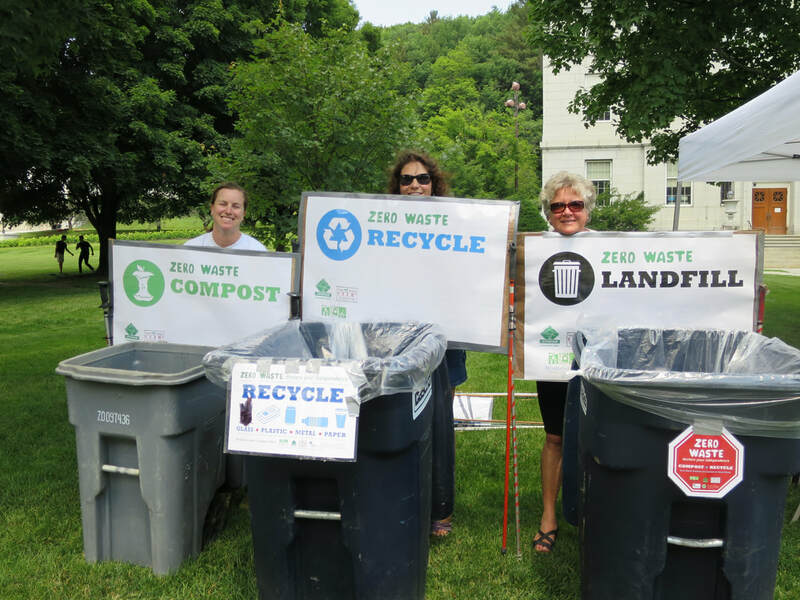 Now is the time to re-imagine how to manage waste at your event, both to comply with Vermont law, and to offer an added benefit to your participants; you’re leading by example with best practice on waste reduction in Vermont! Learn about the breakdown of what goes into each bin, what can and cannot be recycled in Central Vermont District, where to get bins, and locating haulers to take away your streams post- event. Here's where we go into detail about what can go into your food scraps/ compost bins at your event. We cover the common mistakes, working with vendors, and finding a hauler to take away your scraps after your event. Aim for zero zaste by using reusable dinnerware and napkins! Here you will find suggestions on how to source these items locally. We also offer a list of local and affordable rental spaces to host your event DIY style or catered. Utilizing help from staff or volunteers is a crucial piece of making sure your sorting stations do not get contaminated. This section contains an outline of what your staff and volunteers need to know, tips to communicate with the public, and how to conduct a training. 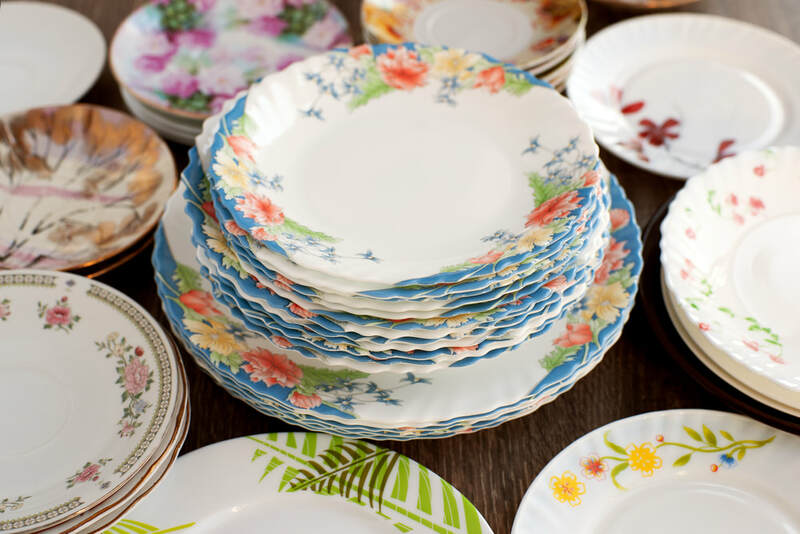 If your event has food vendors, catering, or someone bringing in food and containers from the outside—this section details what you'll need them to know about compliance for your zero waste event. ​Peruse our FULL GUIDE to organizing a zero waste event. Everything you need to know before, during, and after your event. Built with larger events in mind, but adaptable for smaller events. Take what you need and apply it to your event! Print the PDF or read online!